Science Olympiad poses for a celebratory picture after its strong showing at NJIT. When most people think of a competitive team, the stereotypical image of jocks running up and down a field or court and jostling physically comes to mind. 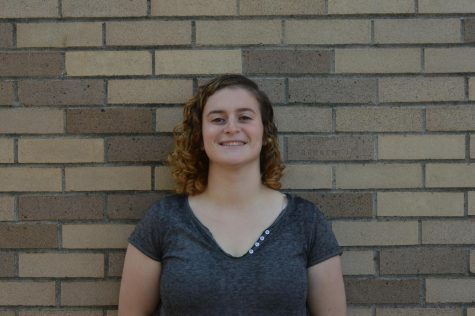 However, HHS boasts of number of academic teams as well, where students use their minds to win prizes. Science Olympiad, one of the school’s academic teams, attended its first major competition on Jan. 8. 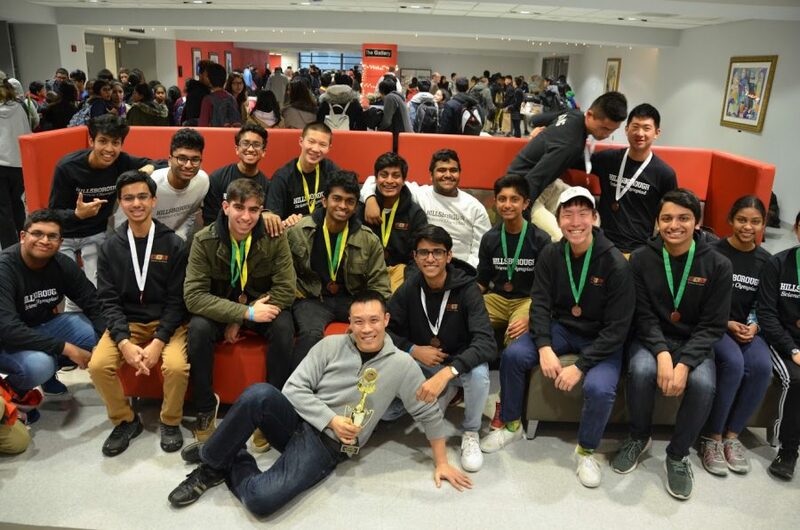 Led by club adviser and biology teacher Minh Dang, and three co-presidents, seniors Shibi Balamurugan, Shridhar Parthasarathy, and Rohan Singh, the team excelled at the New Jersey Institute of Technology Tournament. To compete across the 14 events, teams assign certain members, typically two or three, to focus on that event. These teams then earn points in each individual event to contribute to their total. HHS placed in the top four in four different events, behind the contributions of over a dozen members, to achieve a point total of 90. In Chemistry Clue, two team members were tasked with giving a correct answer based on a set of 5 clues. Juniors Alan Ji and Jeffrey Jiang tackled this challenge, placing third in their division. For the event titled Experimental Design, seniors Curtis Chen, Rajas Chordiya, and Parthasarathy designed, executed, and analyzed a sample experiment, also achieving third place. In two other events, Science Olympiad was able to place fourth. Juniors Christopher Ji and Yash Parikh created an airplane using a rubber band in their event, called Wright Stuff, and seniors Balamurugan and Singh teamed up in Write it-Do it, where one had to write instructions for an invention and the other had to build it. With their stellar showing, HHS established a strong start to its season. Science Olympiad will look to continue this momentum at the State Finals Tournament at Middlesex County College on Mar 12.